Game Box: Graphics in groovy shades of hot pink, orange, and purple add pizzazz to the box. The main photos shows tween girls with unfortunate bangs playing the game while stretched out on a shag-carpeted floor. 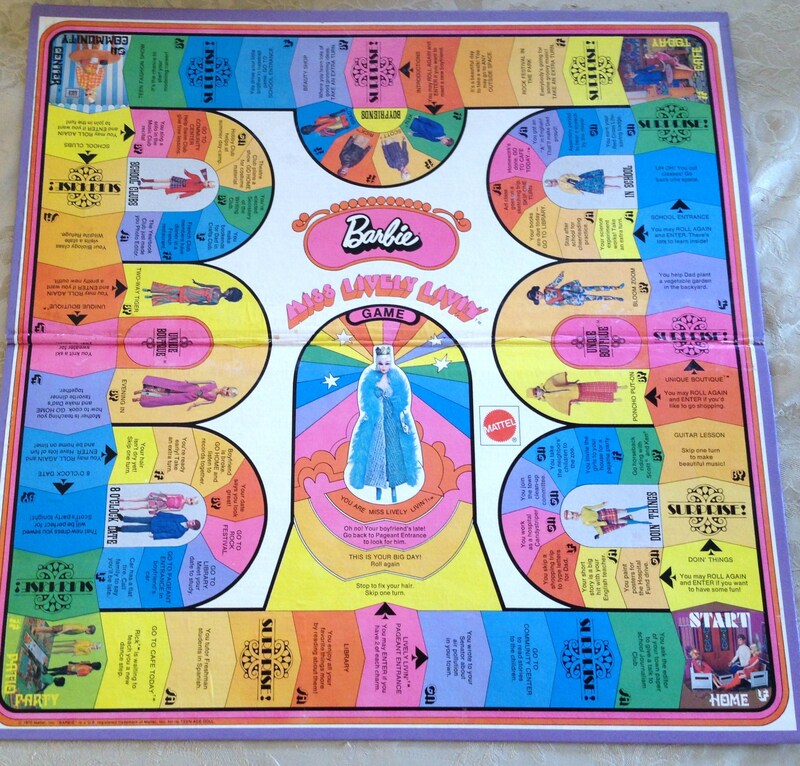 Game Board: This rainbow-rific board doubles as an advertising vehicle for Mattel; it shows many dolls and fashions available at the time. 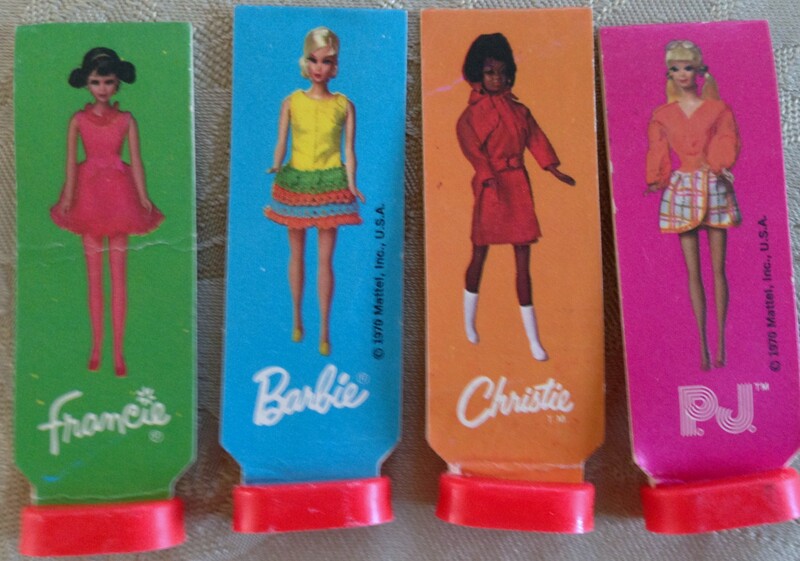 Game Pieces: Photographs of Barbie, her friends Christie and P.J., and her cousin Francie. Object: To succeed in having five different kinds of fun. That first one gave me such trouble in high school. Game Play: Traveling through Barbie’s world, girls attend school, shop at the Unique Boutique, go on dates, and spend time “doin’ things.” They wear metal bracelets and try to earn charms representing each kind of fun. My Thoughts: I like this game now because it includes photos of great mod Barbie fashions. I’m sure I would’ve loved it as a child, too–the bracelets and crown are such a nice girly touch. Bonus Feature: Here’s a 1970 commercial for the ultra-flexible Living Barbie. The Brady Bunch‘s Maureen McCormick was also flexible, it appears. 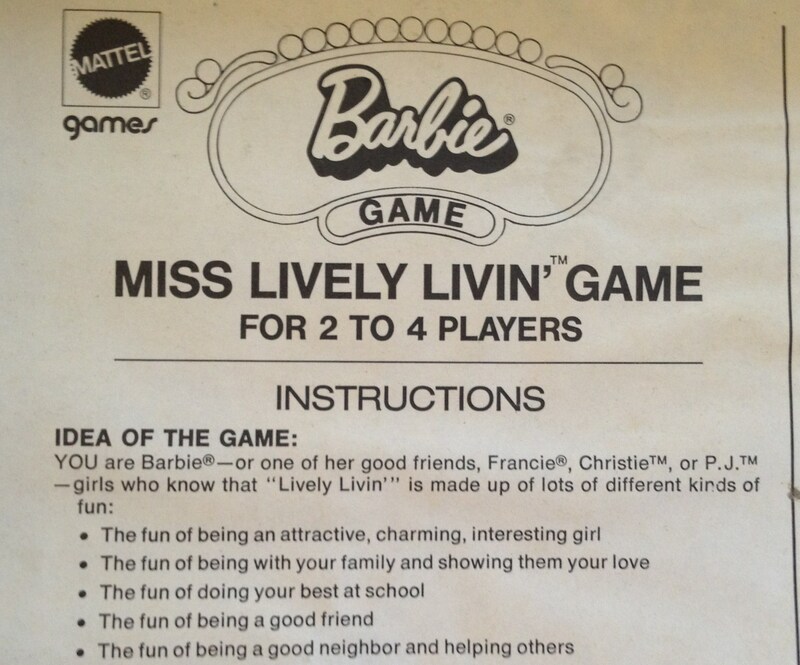 Though the doll was called Living Barbie, she had a Lively Livin’ House, which the Miss Lively Livin’ game board mentions. A Living Barbie from my collection. She’s wearing Super Scarf, one of the outfits shown on the game board. I love the wool miniskirt, chain belt, and boots–it reminds me of the fashions Mary Tyler Moore wore in her show’s first season. 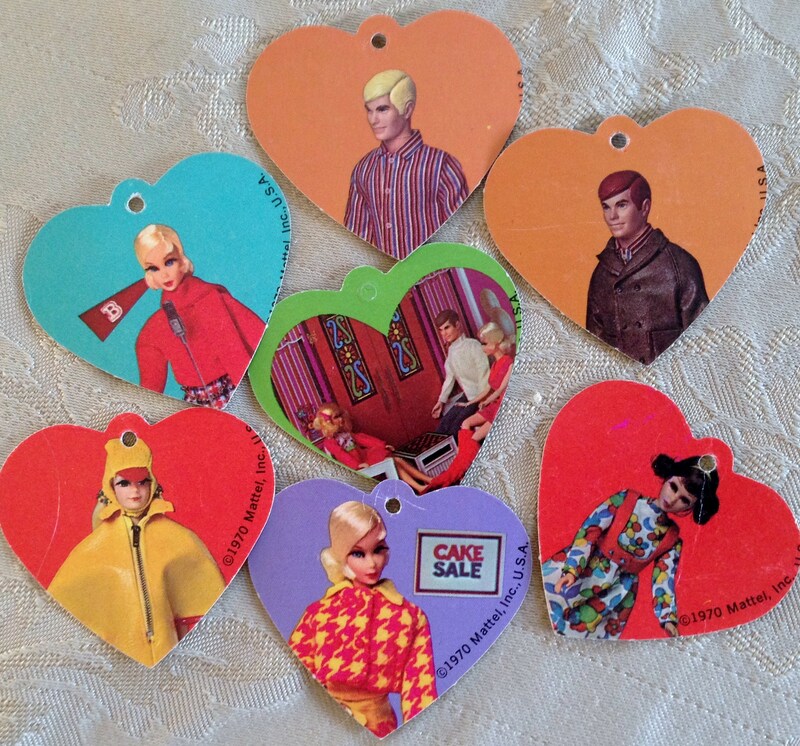 This entry was posted in Spin Again Sunday, Toys and tagged 1970s, Barbie, Board Games, Dolls, Living Barbie, Mattel, Maureen McCormick, Mod Barbie, Nostalgia, Toys, Vintage Barbie, Vintage Toys. I love your description of this game. I almost can’t stop laughing! With this game, you don’t have to try hard to be funny–just describing it accurately is enough!